In a surprise development, 15 more of The Innocent of Acteal group of prisoners were released yesterday from prison in Mexico. The news was totally unexpected by the prisoners and their lawyers. 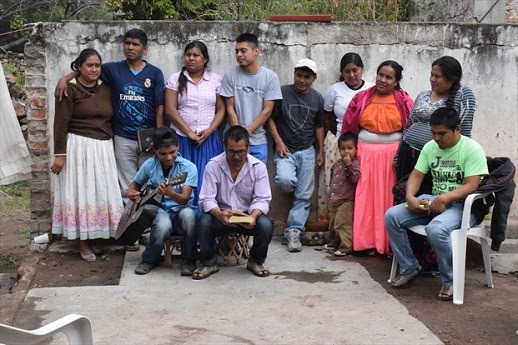 The Church in Chains Annual Conference held earlier this month focussed on Mexico. View a YouTube interview with guest speaker, Rev. Al Schreuder, about the church in Chiapas. About 140 Christians from various parts of Ireland gathered in Athlone in September for the annual Church in Chains conference. Nine more of The Innocent of Acteal group of prisoners (including the six men pictured) have been released from prison in Mexico after another hearing in the Mexican Supreme Court. The release and resettlement of The Innocent of Acteal group of prisoners has suffered more delays. In mid-August, twenty of the prisoners (including the seven men pictured) were released by order of the Mexican Supreme Court.